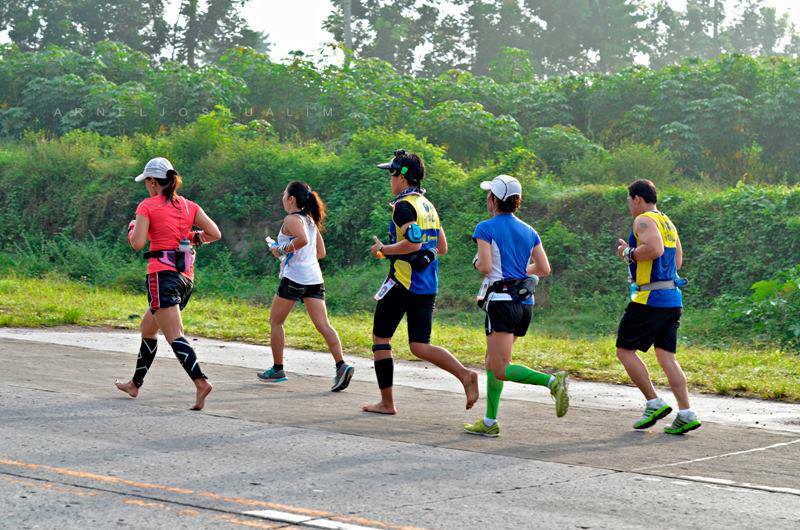 Running barefoot is not simply as removing the shoes and hitting the road. Like any type of athletic activities, we have to do the needed gradual progression, so, not to cause any unwanted injury. But, is barefoot running for everyone? According to some experts, it isn't. Common sense says that what isn't wrong shouldn't be fixed. So, this applies that if you are ok with running on shoes, then, there is no need to run bare and risk landing on elements. From experience though that I have a very strange bizarre running causing the usual blisters and the ankle sprain from training for marathon, I couldn't help but try barefoot running just to see the difference. And, to my surprise, it indeed made a difference. So, while barefoot running works for me and for some barefoot running advocates, make sure that you consult first your doctor before doing the transition. Barefoot running enthusiasts suggest that you start with barefoot walking, then jogging, and eventually shifting to running. Try doing your transition gradually and smoothly. Feel the ground as you walk / run bare. Running on a smooth surface will help with the transition. Some suggest that running on minimalist shoes can help prior to barefoot but my experience suggests that running on bare feet will help correct my form, so the form is correct too as I go on minimalist shoes. I tried to do long strides to increase my speed but that caught me gasping in air and causing much pain too. So, seasoned barefoot runners advised for faster cadence using smaller steps. I am still working on sustaining faster pacing. Lastly, running barefoot must mean trying different terrain too as the race area could be unique from your usual turf. It would help too if you have running barefoot colleague to motivate you to run bare. Be cautioned though that society may be too surprised seeing you!